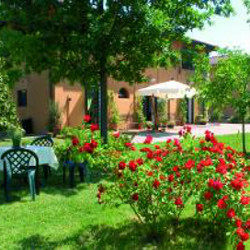 The premise is placed in the countryside near Budrio, in the locality of Bagnarola, a place of the Bologna's area known for its wonderful villas complex of the 16th century. The dining area is obtained by a wise and careful restoration of an old barn and hayloft of the late 19th century. Good cuisine, inspired by the local produce linked to the seasons. Recognized by the DegustiBO brand, the restaurant ensures that there are seasonal menus composed exclusively of specialties from Bologna, prepared mainly using local and regional products.